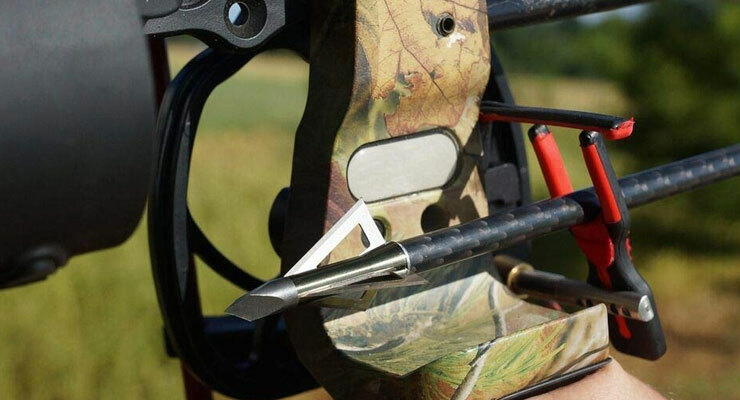 Although there are numerous kinds and branded of broadheads in the market that you can even buy for an extremely cheaper price, yet only an expert and experienced bowhunter can realize how “muzzy bowhunting broadheads” are different from those. Our article Muzzy Broadheads Review will cover everything of – 3 Blades Trocar Tip. 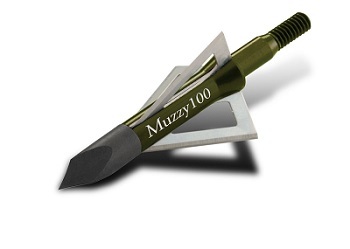 The muzzy broadheads are unique not only in design but also in offering outstanding service and durability. The exclusive features of these can save a lot of valuable time and energy for you. Don’t these sound impressive? We know from our experience that these sound quite enthralling to you! Therefore, to make you more enthralled, we have equipped this article with the details of muzzy bow hunting broadheads. We are quite sure that we don’t need to convince you for buying these broadheads because you yourself will feel the urge of being a proud owner of these after going through the entire section! The broadheads have many enthralling features and among those the construction material, color, sizes, sharpness, and durability hold the significant place. Therefore, here we have discussed these in details. The ingredients used for making the entire broadhead are unique for their sturdy nature and long-time service offering. Firstly, the blades are produced with stainless steel. As you know that stainless steel is one of the most super quality materials for producing cutting tools. Likewise, here, in this broadhead, the blades being made of steel, which is free from pollutants, provide you with long-time usability. Besides, the blades are heat, corrosion, and fire resistant while these are also capable of bearing excessive pressure without being damaged a bit. Then, the tip of the broadhead is also made of hardened steel, which is also enduring thus offers you a long time use. The tip is made of such a material it provides you with the facility of putting much force on it. Moreover, except the tip and the blades, the entire body is produced from lightweight aluminum that enables you to carry and hold the broadhead for more time without being exhausted. In addition, aluminum is also rust free and so you don’t need to be worry of replacing your broadhead so soon. Can you guess what the thickness of the blades might be? Your thinking may comprise .035’’ or .030’’, but you will be amazed to know that this amazing broadhead contains blades, which has a thickness of .020-inch. It is one of the least thick blades or probably the only least thick blades that can provide you with the experience of ultimate sharpness quality. Besides, the blades are razor sharp, which assures you the highest quality of sharpness. Another engrossing matter of the blades is that- there are three blades in lieu of most common two blades formula. The addition of an extra blade will obviously offer you more service for a longer time. It has already been mentioned in one of the earlier sections that why hardened steel is good for producing the tip, but some more points are left to discuss. The matter is that the tip is made of hardened steel assures increased flight stability. It means that your thrown broadhead can fly for a bit longer time than that of others. This facility enables you to target your aim from a bit more distance. Moreover, hardened steel makes sure that the tip penetrates the target object with the maximum range. This maximum penetration is very helpful in injuring the target for sure. Generally, it is seen that a broadhead comes with either one or a maximum of two sizes, but this excellent product is available in three different sizes for your advantage. The sizes in which you may get it available are the followings 75, 100, and 125 grain. For this reason, you need to worry no more regarding the necessity of multiply sized broadheads for different usage. You may think that the broadhead is heavier because of having three blades with many other beneficiary parts. But we feel delighted to let you know that the weight of this broadhead is not that much that you feel uncomfortable bearing it and flying as well. This is also to inform you that its lightweight feature is one of its attraction points for the bowhunters. We can guarantee you that you will hardly get such an advantageous broadhead with such an attractive color combination. The combination contains olive and black color predominantly. The olive color body creates a military mood that is the center of attraction for all. The end of the broadhead contains perfectly cut thread, which is helpful for attaching the entire thing tightly with the bow quite quickly and easily. The thread being neither so tight nor so loose allows the hunters to fix it and take it out effortlessly. Q: Which sort of arrow should one use to get the best result? Ans: In this case, we recommend you to use either aluminum or carbon made an arrow with which the broadheads perform better. Q: Can I use the broadheads with xbow? Ans: Yes, you can use as long as the bow accepts screw in the broadheads. Q: Do the blades come sharp or I need to sharpen them? Ans: Don’t worry buddy, the blades come already sharpen. In the end, we expect that you have completely been aware of this excellent broadheads by this time. We also expect your satisfaction towards it as the lists of pros and extraordinary features are longer than that of the cons. So, from this, we feel daring enough to recommend you to buy this muzzy bow hunting broadheads to have exceptional hunting experience.